It doesn’t matter what season we are in, there are always little jobs to be done in and around our gardens. So before we focus all of our attentions on the most wonderful time of the year and enjoy a well deserved festive break with family and friends; we have put together our top tips on wrapping up for winter to help you stay on track with your outdoor chores. Keeping your garden tidy in the winter can often be easier than at other times of year as many plants are dormant giving an ideal opportunity to clear debris from borders and beds; around and under larger plants which can often be difficult when bearing thick foliage or delicate flowers. During the winter months, fallen leaves decorate our lawns and pathways, whilst they look seasonally stunning on a dry crisp day, they can be hazardous in wet conditions, particularly on driveways and pathways. So it is advisable to keep walkways clear for you and your visitor’s safety! Why not allocate a little time to enjoy some fresh air and give it a good, thorough sweep. Getting back to nature and gathering leaves can be very therapeutic. We have a comprehensive selection of sweeping tools to help you quickly tidy up with very little effort, from strong bristled brushes and practical plastic rakes to leaf blowers! 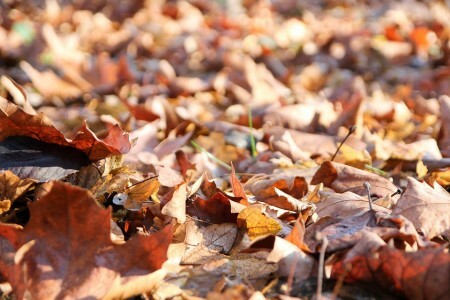 Fallen leaves also make an excellent source of goodness for your garden – your gardens very own renewable energy! Be sure to add any leaves to your compost heap and be rewarded with nutrient rich compost in the coming years. Alternatively if you are tight for space the leaves can be added to your council provided recycling bin, where they will also be turned into compost. It is also a good time to retreat to the shed and clean your favourite garden tools and mower this will ensure they are in good condition ready for next spring. Why not talk to us about getting your mower serviced, and did you know that we can organize for your Felco secateurs to be sharpened ready for the next season. Bring them into our reception desk and we will do the rest. With winter comes dark mornings and early evenings, if your outdoor space would benefit from a little more light during the winter months why not install some solar lighting? This provides a great alternative to mains lighting, requiring little maintenance and no electrical power source. We have a superb range of solar powered garden and security lighting from the Solar Centre, a local company based here in St Albans who use more powerful solar panels, good quality batteries and advanced LED’s to offer excellent performance all year round even during the darker winter months. After an extremely mild Autumn, we can be forgiven for leaving our garden furniture outdoors and exposed to the elements, in the hope of one last use. However, now that we are well and truly into Winter and those frosty conditions, it is important that you do take care of any furniture that stays out in the garden or courtyard. Covering your furniture will help protect it from the corrosive effects of bird droppings, extreme weather conditions and the general dust and grime that can get into the weave of furniture when left uncovered. We have a lovely range of covers for your garden furniture in a variety of sizes, whether it be the whole set or a singular chair. As well as providing birds with a plentiful source of food, attracting birds to your garden by using a variety of feeders and different seeds can bring your garden to life during those dull winter days where there is not a lot of colour to catch your eye. They provide a fascinating spectacle as they come to feed which can be watched from the warmth of your living room. Getting back to nature is a brilliant tonic for those stressful days in the lead up to Christmas. There are many enjoyable tasks that you might like to undertake if timing permits. Checking the greenhouse heaters and propagators are working correctly will ensure your seedlings and cuttings survive through the winter. Providing the soil is not water logged and remains unfrozen bare-rooted raspberry canes can be planted now, as can containerised roses, these are bare root roses that have been placed in pots of potting compost to prevent the roots drying out, ideally they should be planted as soon as possible after you purchase them. However these stunning shrubs also make a very thoughtful and heartfelt Christmas Gift. Pop into the store to speak to one of our customer service staff who would be delighted to help you choose a suitable rose for that special someone this Christmas! Our staff are always happy to assist you with any questions and queries that you may have about your outdoor living space. Just pop into the Nursery and visit any of our Advice Centres. Next Post: WE’RE OPEN – Spend your ‘Snow Day’ at Aylett Nurseries!